How do I pay my annual assessment? Annual assessments can be paid at the annual meeting or mailed to the listed adddress. 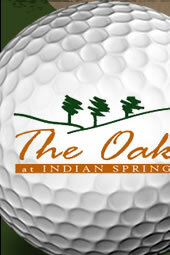 The Oaks at Indian Springs Property Owners Association, Inc.
What are the annual assessments? What do the annual assessments or dues cover? As stated in the Bylaws (Article 4.2), annual assessments are used for promoting the enjoyment and welfare of the owners and for maintenance and improvement of the common areas. The association budget outlines categories of expenses used in the management of the association. When are annual assessments due? How do I report a violation of the Covenants? Covenant violations should be reported through the Contact Us link on the Association website. The Board will review and work to resolve all violations on a routine basis. What is the purpose of the Resident Directory? The Resident Directory is a password protected area of the Association website. By registering in the Resident Directory, you will be able to stay up to date with Association communications through emails sent out to the POA membership. Additionally, you will be able to participate in Association surveys and have access to password protected areas of the website. What is the purpose of the Oaks at Indian Springs Property Owners Association, Inc.? The purpose of the Oaks at Indian Springs Property Owners Association, Inc. is to promote the enjoyment and welfare of the Owners and to maintain the common areas and other portions of the property for which the Association is responsible. What is the structure of the Oaks at Indian Springs Property Owners Association, Inc.? The Oaks at Indian Springs Property Owners Association, Inc. is a non-profit corporation created through the Deed of Dedication to be the governing body for all Owners through the administration of the Bylaws of the Oaks at Indian Springs Property Owners Association, Inc. The Association is governed by a Board of Directors as outlined in Article 13 of the Bylaws. Officers shall be elected by the Board of Directors and shall be a President, Vice-President, Secretary, and Treasurer as outlined in Article 14 of the Bylaws. The governing documents of the Association consist of the Deed of Dedication which contains all restrictive covenants, the Bylaws of the Association, and the Articles of Incorporation. The Board is elected by the members of the Association at the annual meeting each year.